Super strong and coming in 2 sizes, Napo’s signature Bio Mech bars could be just what you’re looking for. More info here. Thanks to Nathan Sykes for shooting the photo. 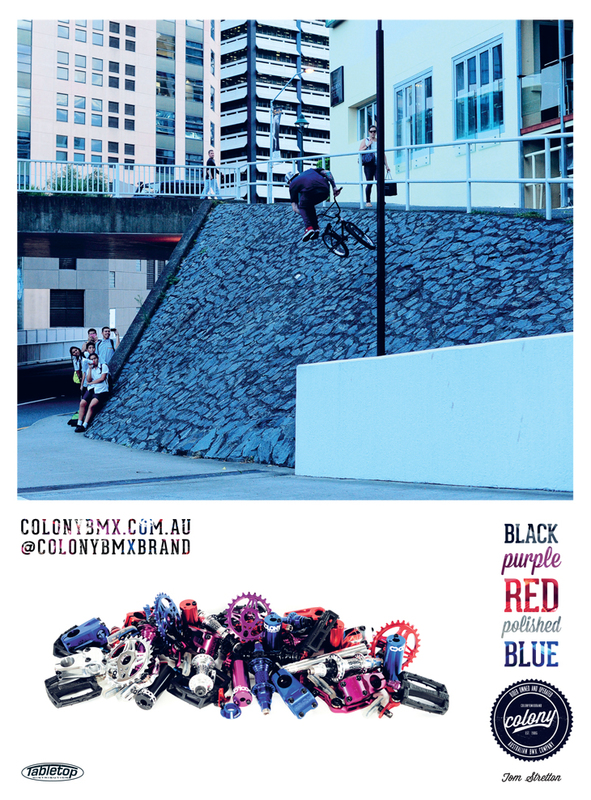 Jack Kelly banged out a wild crank to over for this advert reppin his signature Monash frame in the Makita colourway. If you’ve watched Nathan’s recent video part (or any video part of his for that matter) you know he goes hard. 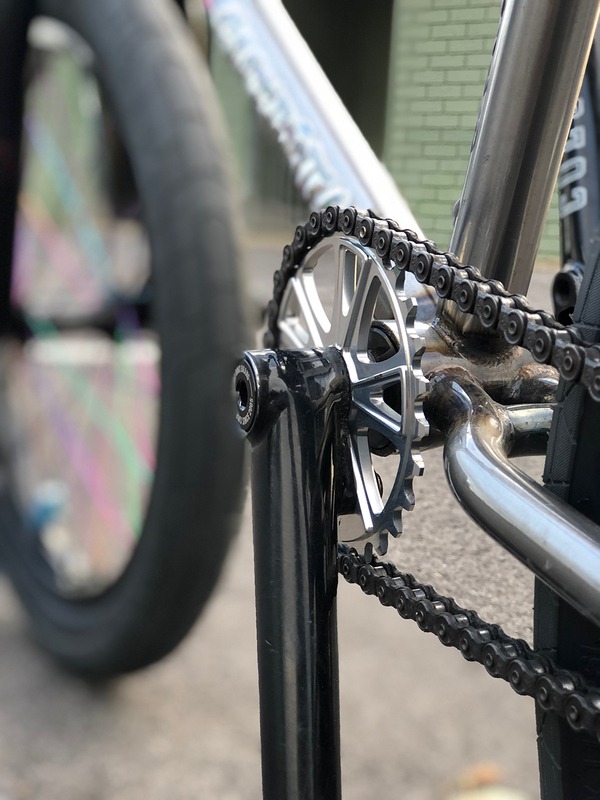 Nathan rocks the 22’s when it comes to cranks which are available now across the world so hit up your local dealer for a set. 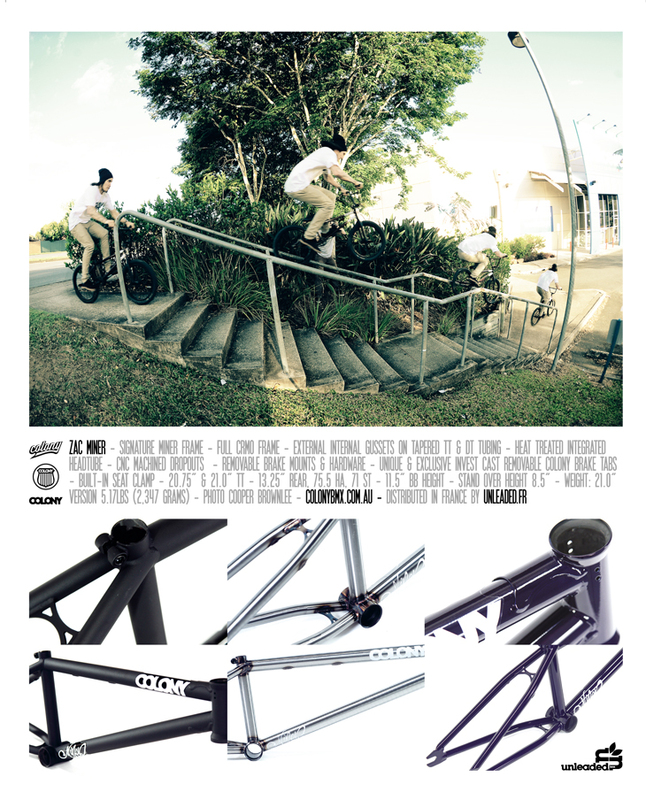 More info on the cranks here. 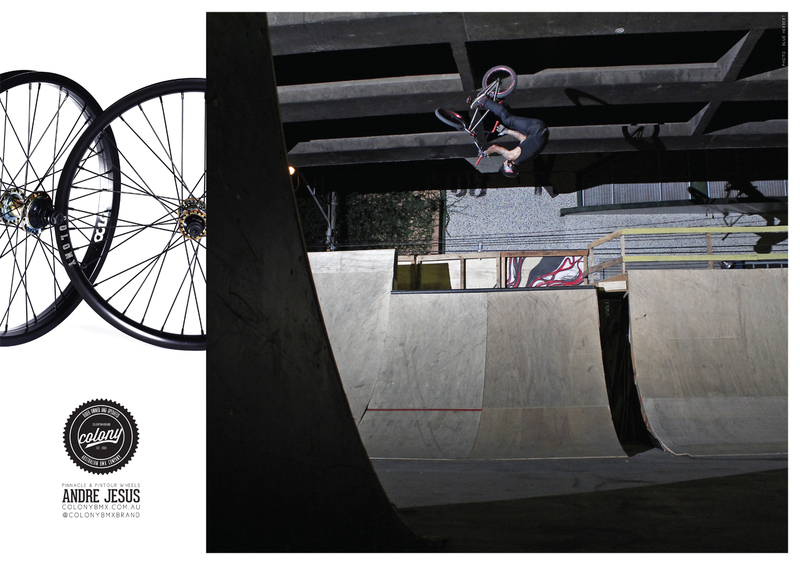 JK has a double page advert in the current issue of Soul BMX over in Europe. 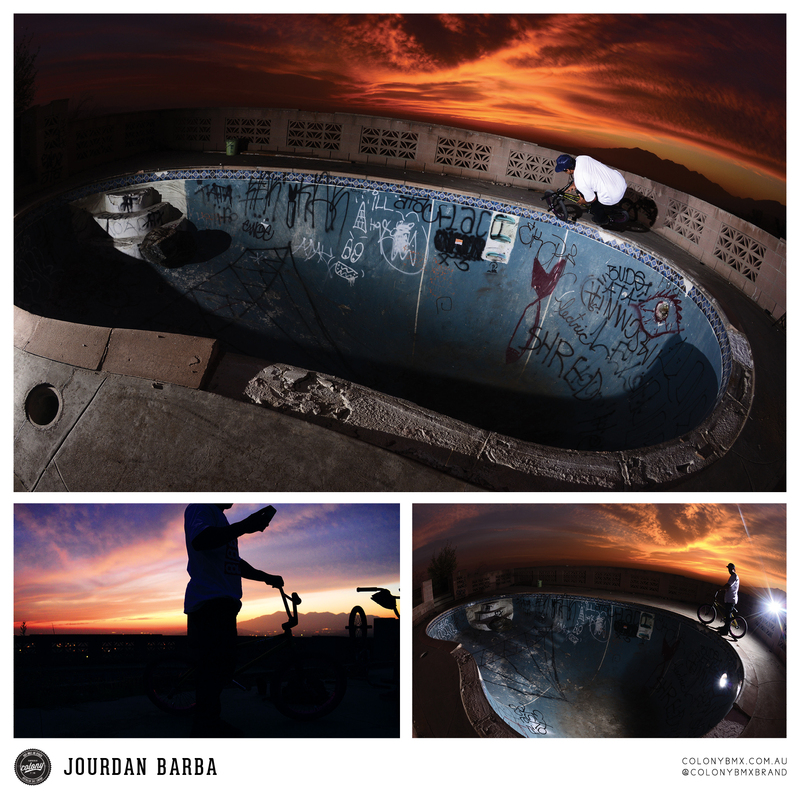 The photo was shot by Daniel Johnson where Jack opposite crooks a large rail for his most recent video. 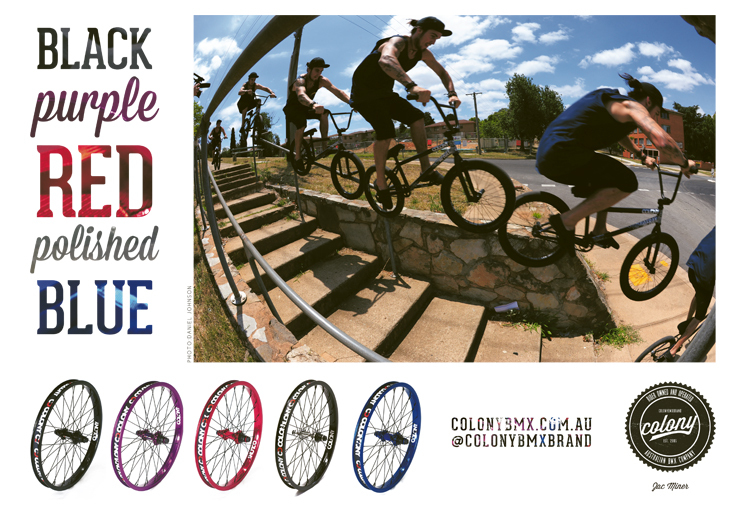 All the 2016 frames are now available in Australia with the rest of the world in the coming weeks. Adelaide’s crankflip barspin wizard Ricky Catanzariti throws a flair out of nowhere on another unique Adelaide spot. This pool Jourdan took us was seriously in the best location ever! As you can see from the photo’s it was a sunset chasers dream. Oh yeah the pool was amazing also. Pretty sure Tom pulled this off camera and we thought we were going to cop the deadly camera curse but it actually didn’t take that long to get. Some local guy just chillin’ in his car was so hyped on it, as if he’d never seen anyone coast on the front wheel before. I guess that would be pretty amazing to an outsider. 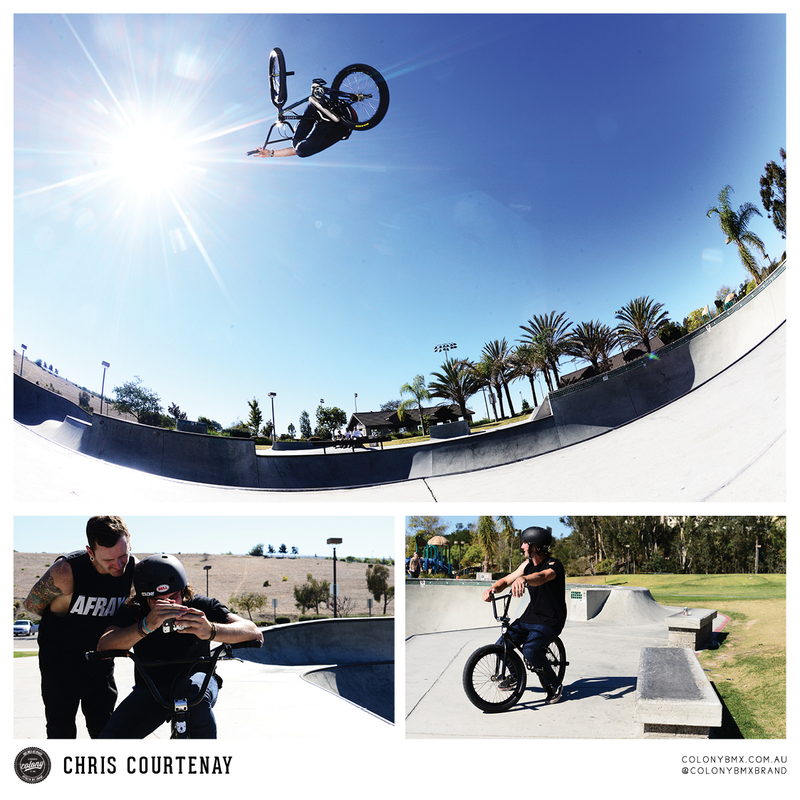 I can’t wait for Chris Courtenay‘s next web video to drop in a couple weeks (which is also in our free dvd). This invert is a good example of what to expect from it. If you hadn’t already realised how unique Bobbie is then this image should take care of that! Also now seems like a good time to have another watch of his recent video. 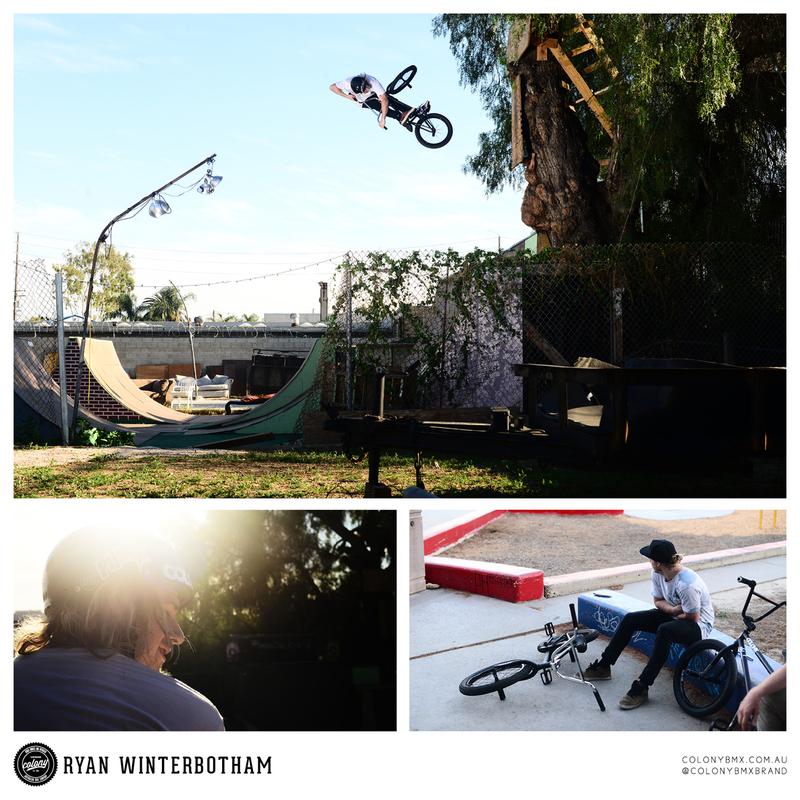 How many BMX brand owners who are 39 years old are still out there killing it? Not that many I would say but I can honestly say Millar is riding better now then I have ever seen him ride in the past 6 or 7 years that I’ve known him. He features in our current 2020 advert with thanks to Brian Castillo for shooting this. 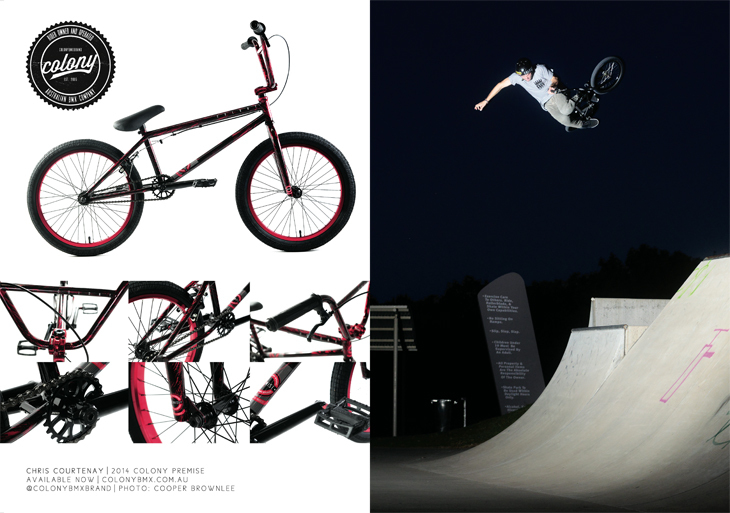 That makes it even better that “technically” competing brands can put everything aside and work together and enjoy BMX for what it truly is. 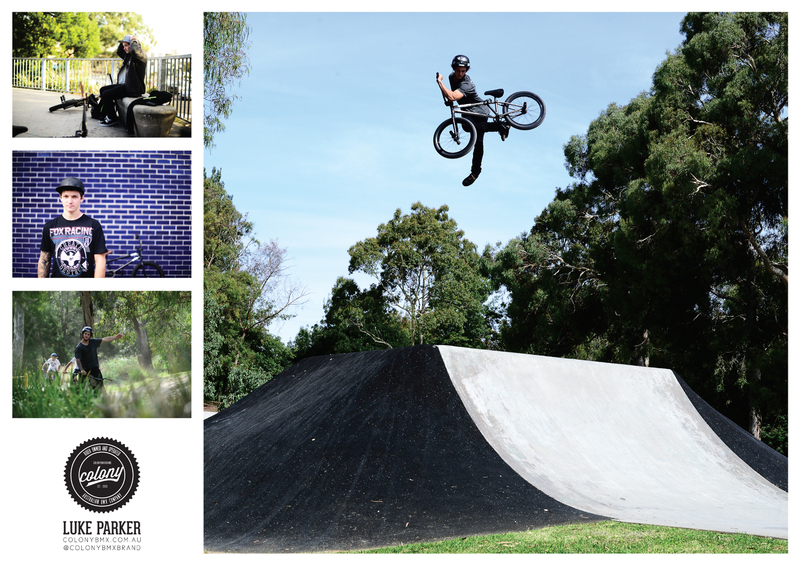 We shot this indian super seaty in Millars backyard last week with Alex on his new bike going hard straight up. The Sweet Tooth now has a lower stand over height along with the 19.8 having a lower height again to suit the younger crew wanting to hit it on a Sweet Tooth. 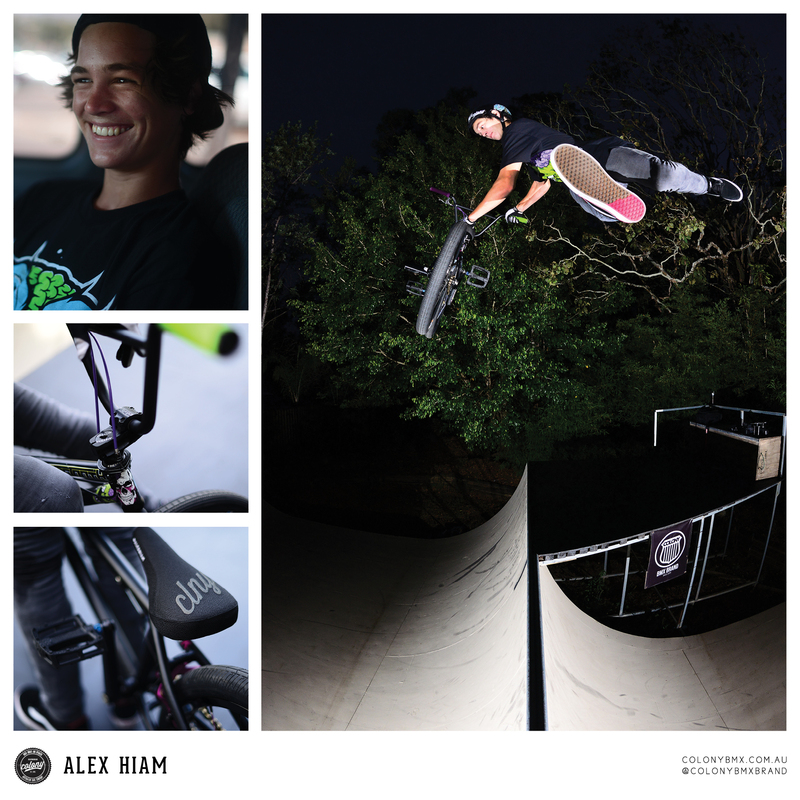 More information about Alex’s frame can be found here. 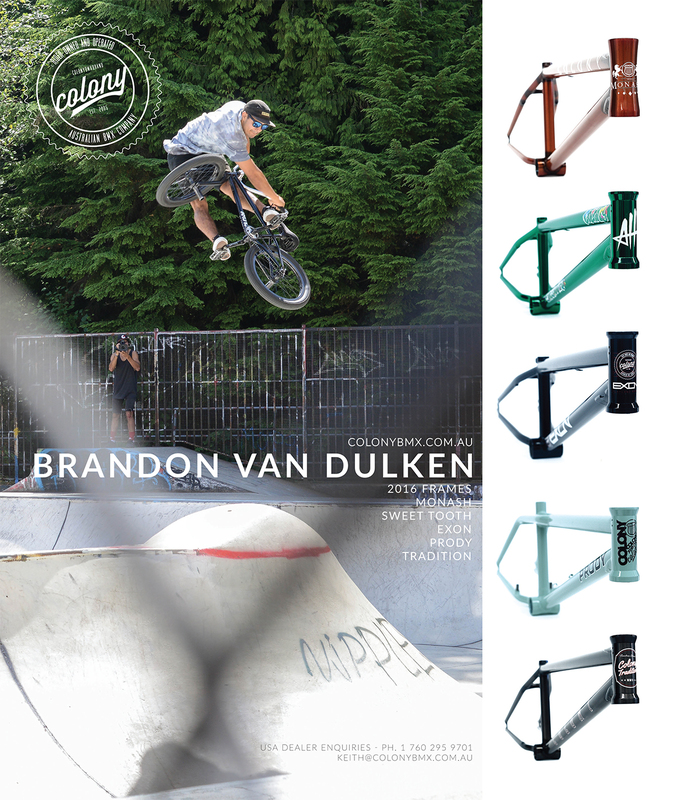 The latest 2020 dropped a couple weeks back, this is the advert we rocked up front for the issue. Chris Courtenay was in his element at Woodgate park in north Quensland which you can also see and read more about in the issue. More info about the Premise complete right here! Tom scores the latest print advert in the current Albion mag. I love this shot because it was taking Tom a few shots to get this clip and the one time he gets it was when all the school kids came along and stopped to watch, they were so interested in it. 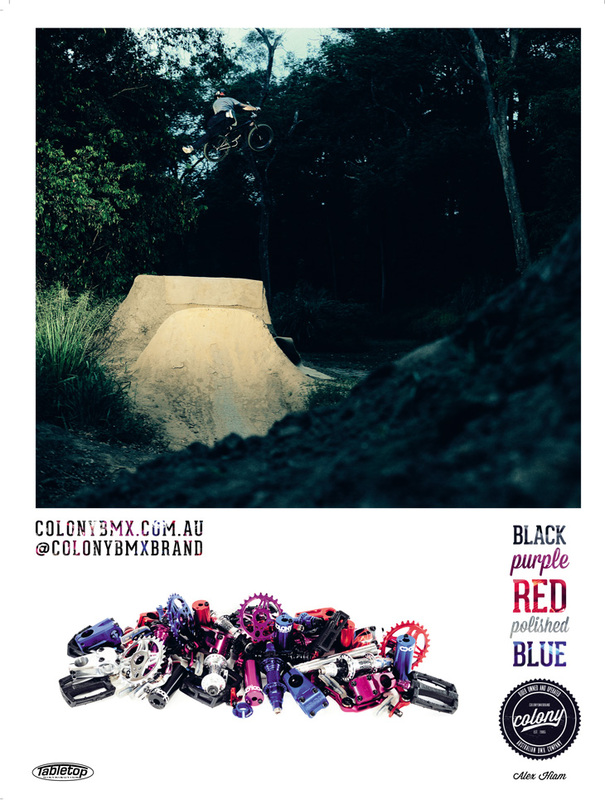 Latest advert of Zac Miner in the latest issue of Focalpoint. gap to pegs to gap past the sketchy rocks at the end of the rail. 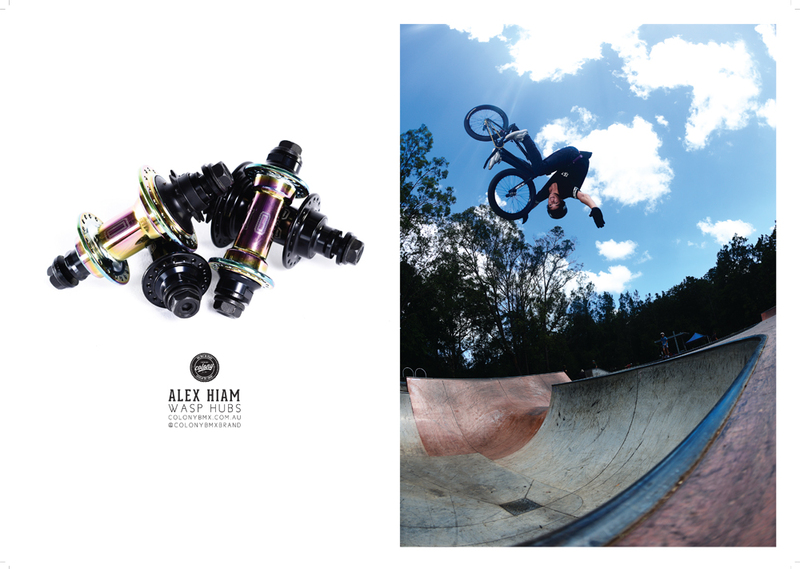 Alex features in the latest advert we dropped in the new Albion mag showing off all the anodised colours we do. Pick up a copy of The Albion as it’s always a great read. 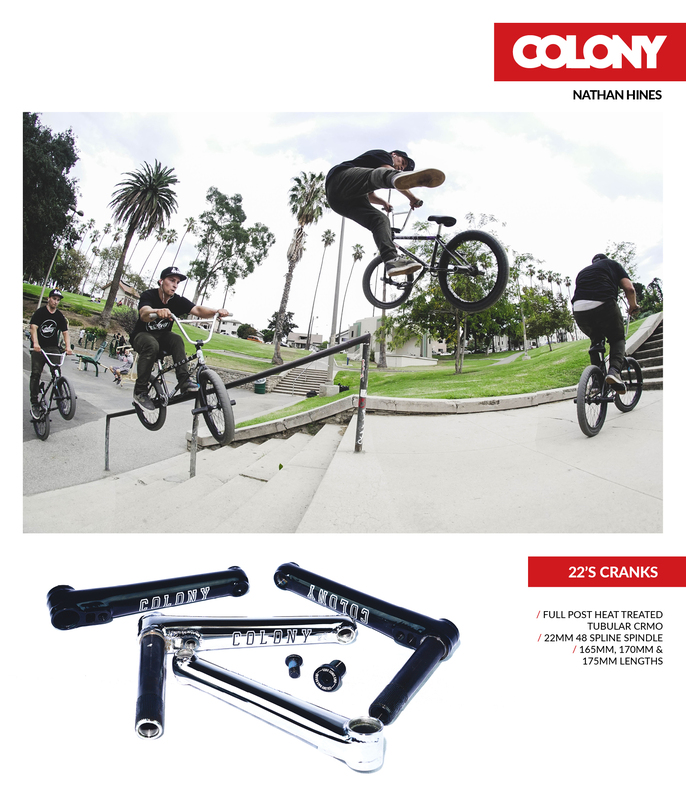 Long crooks by Coops for our latest print advert in The Albion for his signature 24/7 bars. 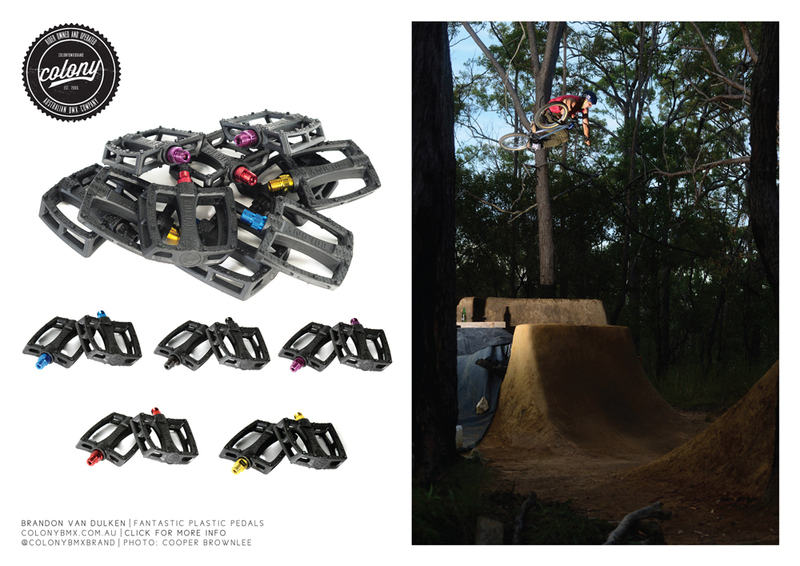 Mick Bayzand smashed out this steep ice grind back in December and it scored him the latest print advert for his signature Teddy frame in the current issue of 2020. Make sure you get down to your local store and grab a copy. Latest advert for Soul mag, Zac Miner has been sending it pretty hard for his up and coming web video, this gap to rail is a good taste of things to come from it. 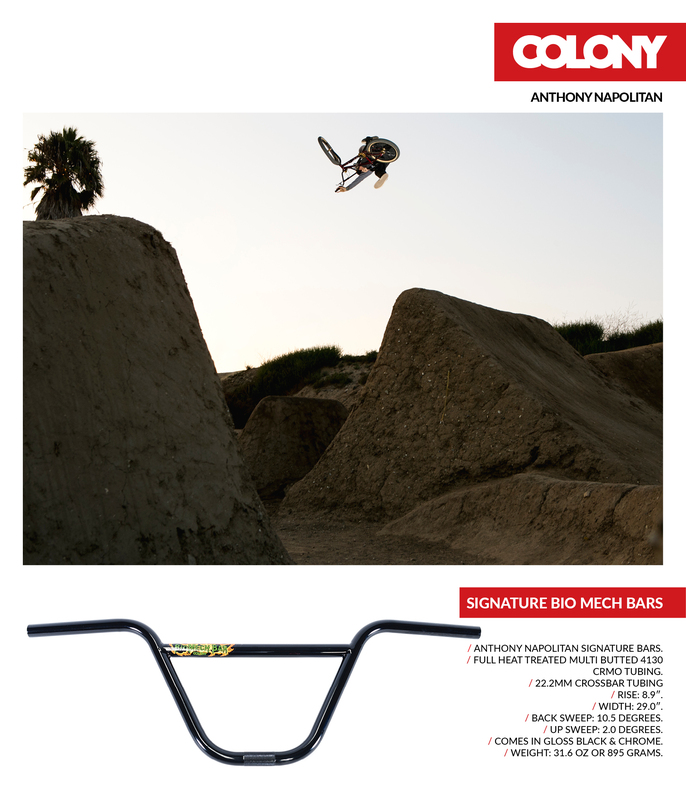 More info about his signature frame here. 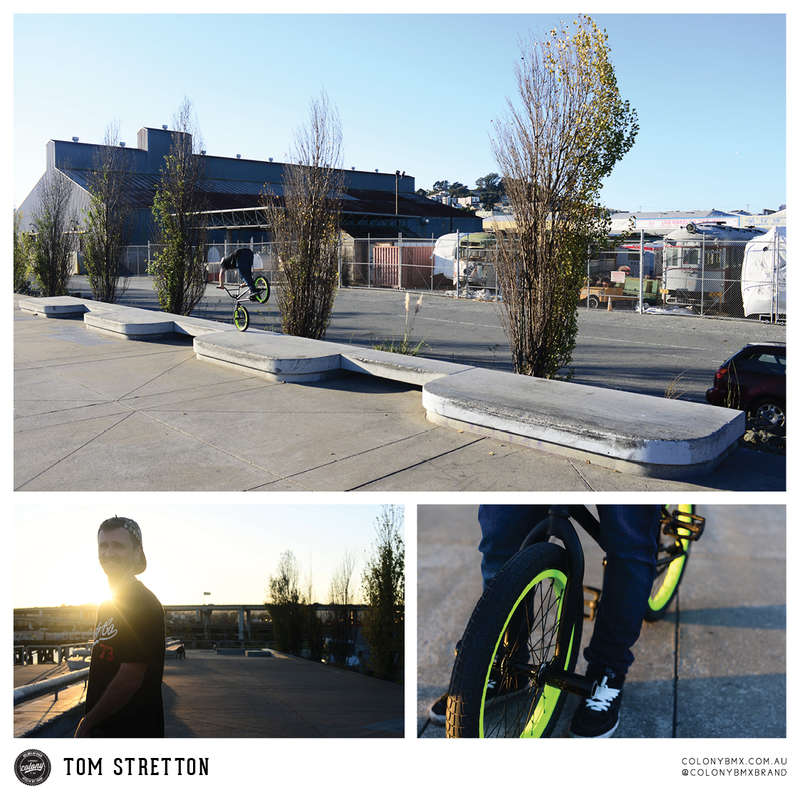 One of our newest team riders, Dean Anderson can ride a bowl! Flair tuck at his local. 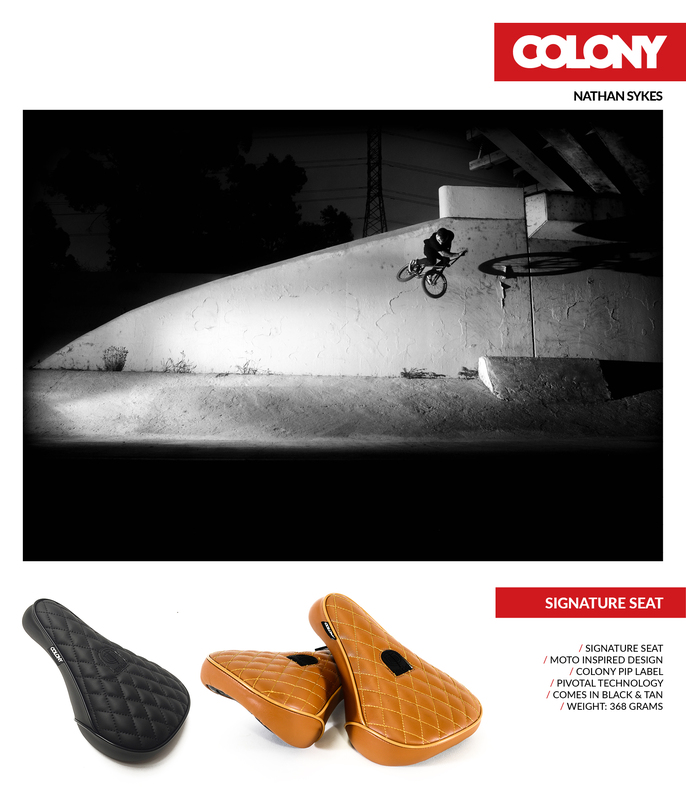 This advert was in the latest issue of Focalpoint.